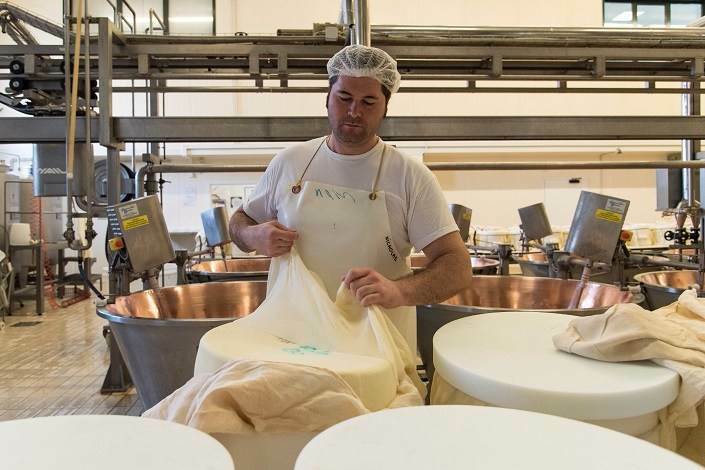 Here we are in Offlaga, where, one fine day in autumn, we are welcomed into Bresciangrana S.r.l., the factory that has been producing Grana Padano cheese under matriculation number BS615 since 1998. Here we meet Dr. Silvio Colosio, the President of the company, and Mr Sergio Brognoli, his right-hand man. 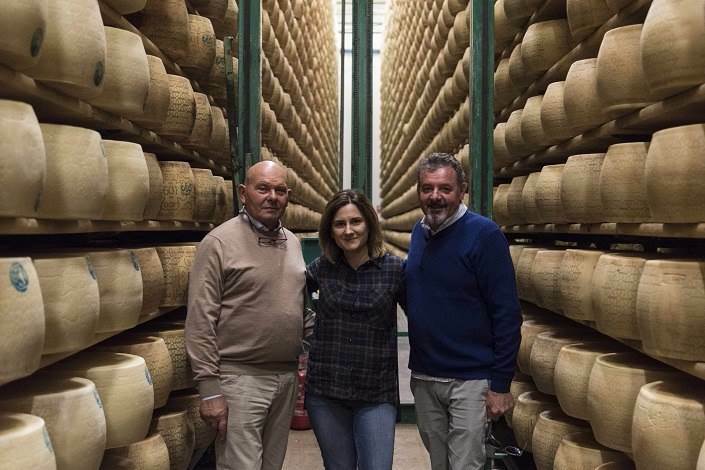 In 2006, Silvio and Sergio joined the management team of Bresciangrana S.r.l., then a much smaller cheese factory than it is today. Indeed, the plant has expanded considerably, not only structurally, but also in terms of its production. They came from two different worlds, Silvio from medicine and Sergio from agriculture, but they had one thing in common. Both had agricultural companies and had therefore always been interested in producing milk and promoting the welfare of their animals. 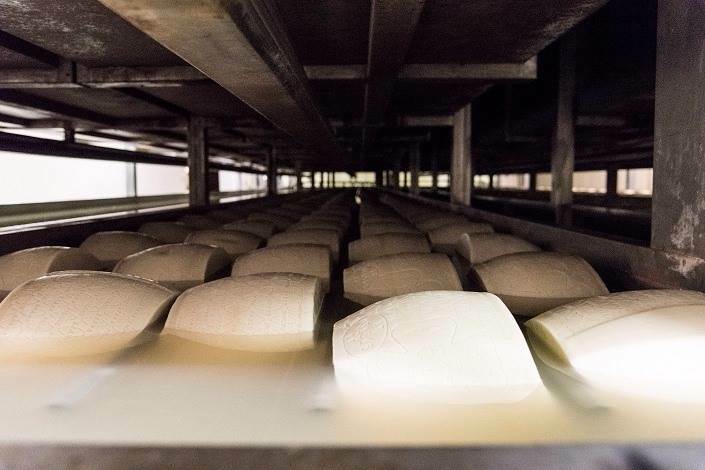 Therefore, this new venture at Bresciangrana offered them the opportunity to see good milk transformed into excellent cheese, a healthy, authentic food for the human race. 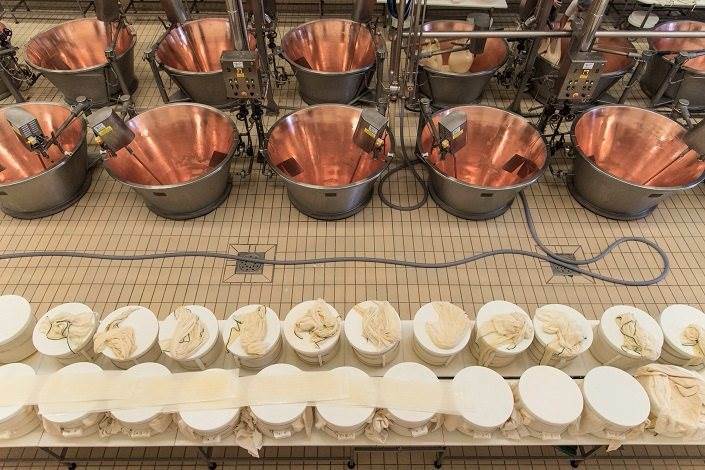 Indeed, a large window in the conference room still looks down on the production area, where the glance falls immediately on the cheese moulds, just filled with new wheels destined to become Grana Padano DOP. A spectacle that turns into a dance when it’s time to turn the wheels over, then leave them to rest in the steel moulds, and 2 days later immerse them in brine. Here, this is done using an impressive system of basins, pendulums and weights which, at regular intervals, push the wheels under salted water. In Bresciangrana S.r.l., the presence of a number of very young workers in the laboratory is proof of the fact that the atmosphere reigning inside the plant is both pleasant and stimulating. Indeed, the plant also offers an interesting local opportunity for students of Food Science and Technology. Enthusiasm, passion and chance are three of the elements that enabled Bresciangrana to rise, stronger than ever, after it was one of the companies struck by the earthquake in May 2012. 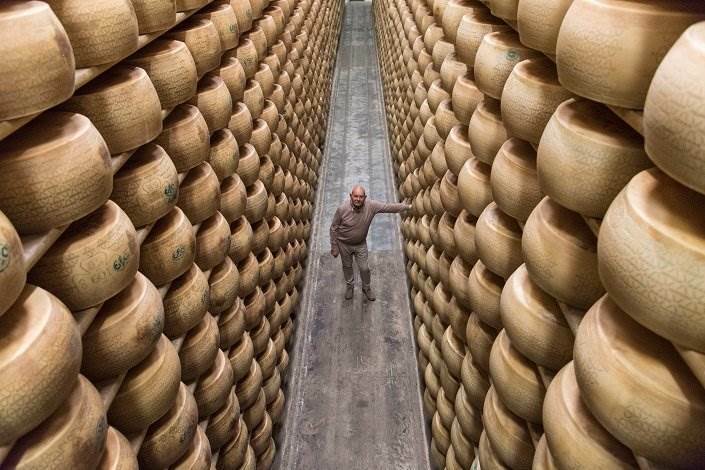 In the space of just a few seconds, 27,000 wheels of Grana Padano DOP and most of the structures holding them collapsed. The road to compensation has been long and rocky, but now there seems to be a light at the end of the tunnel. One thing is clear: for those who manage Bresciangrana, the company is built on its respect for the workforce and the production activity is pursued with a view to enhancing the lives of the many families who work there.